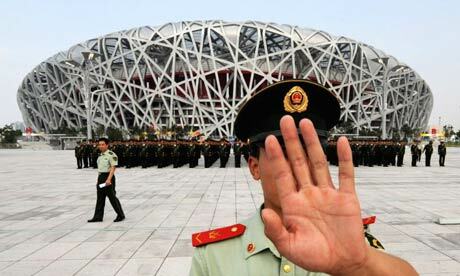 Xu Chongyang, a businessman from Wuhan, was arrested in 2011, for being critical to Bo Xilai. On January 5, 2013, his jail service has expired, and he was released. It’s a hell on earth. The Masanjia Labor Camp in China’s northeastern Liaoning has become synonymous with the brutality of the Chinese regime’s shady legal system. 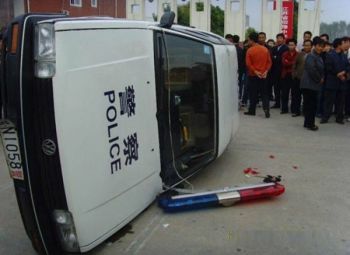 The beatings police gave Falun Gong practitioners on July 20, 1999 on the streets of Dalian City were brutal, according to a report on Clearwisdom, a Falun Gong website. Thousands of Falun Gong practitioners had gathered to appeal for the release of practitioners arrested the night before—the official beginning, in Dalian, of the nationwide campaign to “eradicate” Falun Gong, launched by the then-head of the Chinese Communist Party (CCP), Jiang Zemin. A Chinese dissident writer who was freed this week after five years in jail for alleged illegal business activities has said he was wrongly imprisoned and subjected to treatment “beyond people’s imagination”. Yang Maodong said the charges against him were trumped up and that during his time in custody his interrogators questioned him only about his pro-democracy activities, and not business matters. As U.S. officials head to China for a dialogue on human rights, a Chinese rights group has warned that 17 people—including artist Ai Weiwei—who are being held incommunicado in a recent crackdown on dissent are at risk of being tortured. “They are at high risk of torture or other mistreatment while held illegally incommunicado,” the China Human Right Defenders (CHRD) group said in a statement on its website. Tensions have been running high at the besieged monastery of Kirti in Sichuan’s Ngaba prefecture, which is home to some 2,500 Tibetan monks who say they are now running out of food. New York – A 42-year-old owner of a dumpling restaurant in Northeast China died in his home at the end of February, unable to recover from one and half years of physical and mental torture in a Re-education Through Labor (RTL) camp, the Falun Dafa Information Center has learned. His is one of over 400 documented Falun Gong deaths in Liaoning province since 1999. 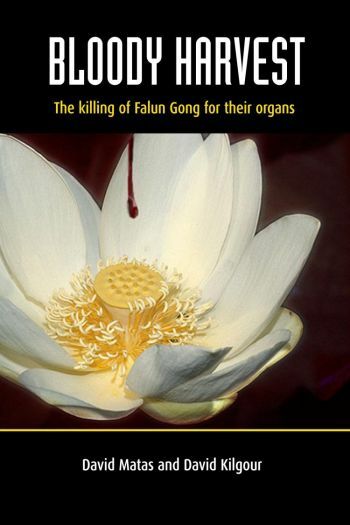 NEW YORK–A Falun Gong practitioner from Hebei province died on February 20, 2011, four days after labor camp officials sent him home on the verge of death, the Falun Dafa Information Center has learned. WASHINGTON—It would be best if, hours before Hu Jintao’s arrival, human rights atrocities in China were not relegated to being discussed in a small, overheated room tucked away in a Congressional office building—but those who concern themselves with the topic will usually take what they can get. Seizing the timing of Hu Jintao’s much vaunted visit to the United States, friends of abducted civil rights lawyer Gao Zhisheng have called for his release. When the Chancellor, George Osborne, and Michael Bear, the Lord Mayor of the City of London, co-hosted visiting Chinese Vice Premier Li Keqiang at a cosy dinner at Mansion House on Monday, it is a fair bet that the extra-judicial torture of the man formerly on China’s official list of its 10 best lawyers was not among the topics discussed. The details of what the Chinese police did to Gao Zhisheng during his mysterious 10-month disappearance would have ruined anyone’s appetite. BEIJING — Missing Chinese rights lawyer Gao Zhisheng, who has not been heard from since April 2010, said his life “hung by a thread” during a brutal two-day beating by police, The Associated Press has reported. BEIJING — The police stripped Gao Zhisheng bare and pummeled him with handguns in holsters. For two days and nights, they took turns beating him and did things he refused to describe. When all three officers tired, they bound his arms and legs with plastic bags and threw him to the floor until they caught their breath to resume the abuse. Falun Gong practitioner, Guo Xiaojun, a former lecturer at Jiaotong University in Shanghai, is at risk of torture and other ill-treatment in prison. He was convicted solely on charges which relate to his practice of Falun Gong and based on a confession he says was extracted through torture. After spending the last 10 years of his life in a Chinese prison, Zhang Yuhui is scheduled to be released on Dec. 21. The former editor-in-chief of the China branch of The Epoch Times was sentenced to 10 years in prison for his role with the uncensored, Chinese-language edition of the newspaper. NEW YORK— A 25-year-old kindergarten teacher was severely sexually abused in a Hebei Labor Camp in June 2010, the Falun Dafa Information Center has learned. Months after the attack, she continues to have trouble walking and her family has been denied access to visit her. The Center urges the international community to investigate her case and pressure the Chinese authorities for her immediate and unconditional release. Ms. Sun Shuxiang, emaciated from prolonged torture, photographed tens days after her release from a forced labor camp. NEW YORK— A 53-year-old woman, whose testimony of excruciating and professionally-administered torture attorney Gao Zhisheng relayed in one of his open letters to China’s leaders, died in mid-October as a result of abuse in custody.